Take on a Chinese sport with a race on a dragon boat as part of the traditional festival. 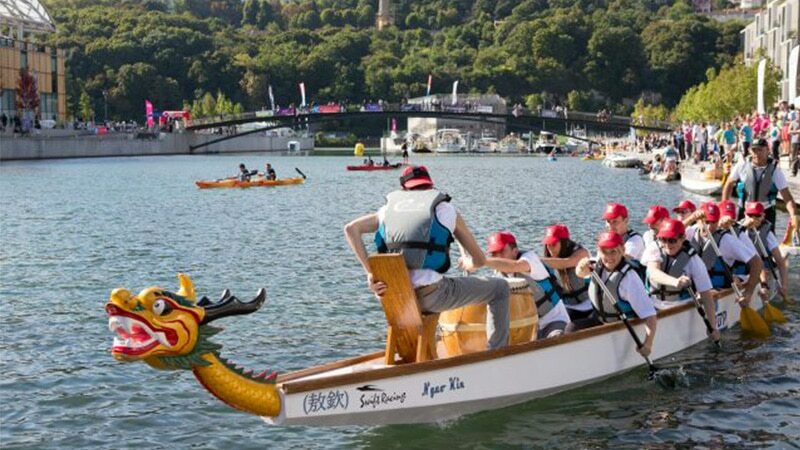 As part of Lyon Kayak 2018, the Association des Chinois Outre-Mer de Lyon is introducing Lyon to a typical Chinese sport during a traditional celebration. The Dragon Boat Festival is a celebration to mark the turn of the seasons, all beginning with a traditional dragon dance performed by the Association. This year, spectators are invited to join in the fun with the dragon boat race. During a 200m sprint, teams of up to 11 people row boats decorated as dragons in synchronized strokes to win a place in the final. Dragon boating is suitable for all ages and fitness levels. It all kicks off on Saturday, September 22, the day before Lyon Kayak, at the inner harbor of the Place Nautique de la Confluence in Lyon 2. Teams must register in advance.